Without resolving Kashmir dispute, lasting peace cannot be maintained in the region. 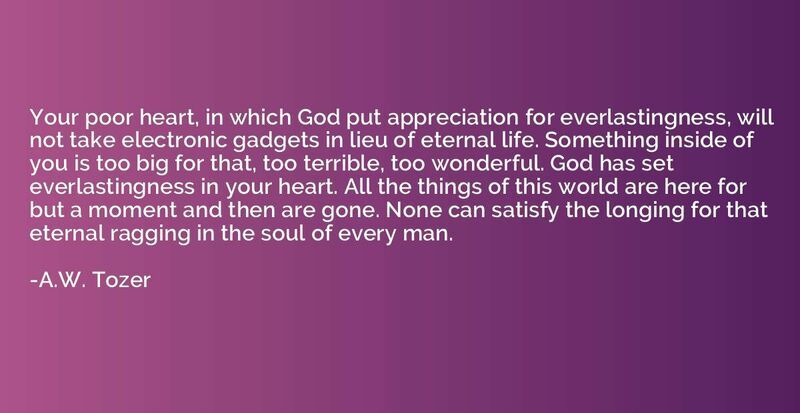 Your poor heart, in which God put appreciation for everlastingness, will not take electronic gadgets in lieu of eternal life. Something inside of you is too big for that, too terrible, too wonderful. God has set everlastingness in your heart. All the things of this world are here for but a moment and then are gone. None can satisfy the longing for that eternal ragging in the soul of every man. 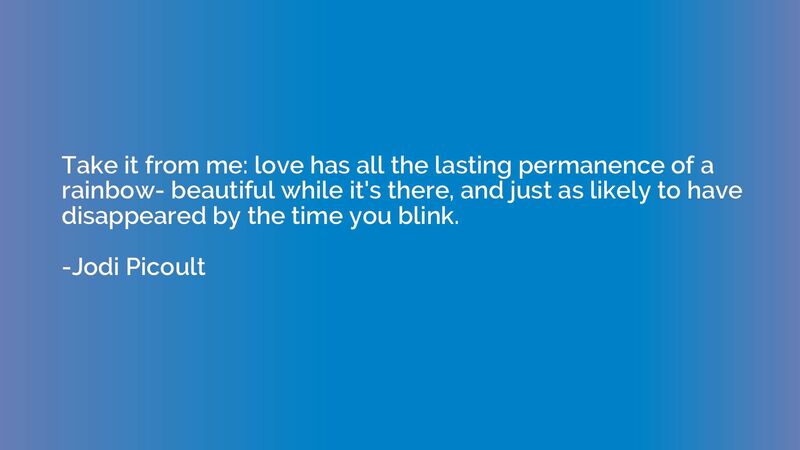 Take it from me: love has all the lasting permanence of a rainbow- beautiful while it's there, and just as likely to have disappeared by the time you blink.